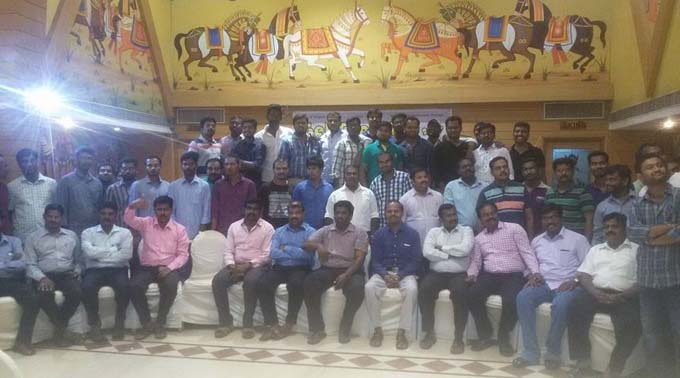 Workshop on "PCB Fabrication & Assembling"
Seminar on "Concrete Technology and CUBE Contest"
Three Days Hands – on – Training on "Mobile Application Development"
An Awareness and Training Programme on ISO 9001:2015 System Procedure for Functional Heads and Auditors held on 16.07.2018. Faculty Development Programme on Teaching Methodologies and Interpersonal Skills held on 29.06.2018 and 30.06.2018. Tree Plantation by Department of Mechanical Engineering on 14.10.2015 in Lieu of Birthday Celebrations of Dr. A . P. J. Abdul Kalam. Code Breaker and Puzzles Contest on 02.08.2017 and 09.09.2017 by Ramanujam Morgans Mathematics Club. Entrepreneurship Development Cell (ED-Cell) organized "DEMO STALL" on 08.10.2016.